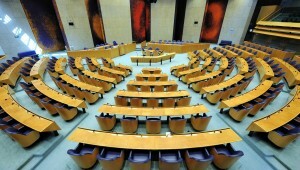 THE HAGUE - The Permanent Committee for Foreign Affairs of the Second Chamber of the Dutch Parliament wants clarity from Minister of Foreign Affairs Stef Blok on the status of the Venezuelan sergeant who fled to Curaçao and has requested political asylum. The question to the minister was posed on behalf of the Democratic Party D66, which sought attention for a case in Curaçao where a young sergeant of the National Guard of Venezuela’s President Nicolás Maduro submitted a request for political asylum. A few days ago, Curaçao Minister of Justice Quincy Girigorie confirmed that the sergeant would not be deported, and that he would remain at the foreigners’ barracks as long as authorities were investigating his case. D66 also sought clarity on the two-day meeting of ministers of foreign affairs of the European Union (EU) and the Community of Latin American and Caribbean States CELAC mid-July. The situation in Venezuela was discussed during that meeting. The Committee for Foreign Affairs asked Blok to elaborate on what was discussed about Venezuela during that meeting, and whether concrete agreements had been made regarding assistance to refugees. D66 further asked Blok to give details about the recent developments in Venezuela’s neighbouring countries such as Brazil, Ecuador and Peru which have taken measures to stem the flow of refugees from Venezuela across their borders.